This ulta-flavorful crock pot chicken taco soup is quick and easy to prepare, has great flavor, and is well worth the wait. 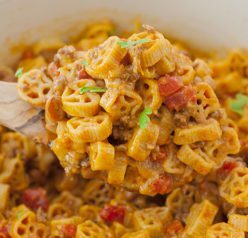 It’s great on a cold night – especially as a post Trick-or-Treating meal! Happy Halloween!!! What are your plans for tonight? I’m doing my usual of staying home and handing out candy to the cute little trick-or-treaters. It’s so fun seeing all the creative costumes! Mr. Wishes will be helping out at his family’s business as he does every Halloween. His parents own a pizzeria and this is their second busiest night of the year besides Super Bowl Sunday! Before meeting him I never realized this and how popular pizza ordering is on Halloween. It makes sense, though, with parents not wanting to take the time to cook and clean up a whole dinner and are in a rush to get their kids out candy-collecting. OK, now onto the soup of the day! This Crock Pot Chicken Taco Soup is the best. Well, if you’re NOT doing the pizza “thang”, I wanted to provide you with a soup alternative that is hardly any more work than picking up the phone and ordering a pizza. You just throw it all in the crock pot and let it cook away and this taco soup can be ready for you before or after trick-or-treating. If you happen to live somewhere that is super cold this time of year, like I’m lucky enough to, this Crock Pot Chicken Taco Soup will be a good warm-you-up meal to come home to! This ulta-flavorful crock pot taco soup is quick and easy to prepare, has great flavor, and is well worth the wait. It's great on a cold night - especially as a post Trick-or-Treating meal! Stir onion, beans, corn, tomato sauce, dice tomatoes, and taco sauce into a slow cooker. *I saute the onion in a skillet beforehand to make sure that they are not crunchy. Lay the chicken breast on top of the mixture, pressing down slightly so that it gets covered by other ingredients. 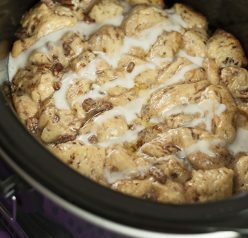 Set slow cooker to low heat, cover, and cook for 3-4 hours on low if your chicken is thawed. May take 4-5 hours on low if your chicken is frozen. Remove chicken breasts from the soup and shred. Stir shredded chicken back into the soup. You are technically supposed to cook it on low for another 2 hours in the crock pot but you really don't have to. I never do. It's very forgiving. You can leave it in longer if you want too. Top with shredded cheese, sour cream, and/or crushed tortilla chips. It’s really good! Thanks, Kelly! Yum! I love crock pot recipes, precisely because I can prepare dinner without having to stand by the stove. This looks absolutely delicious! It DOES make sense, huh? Thanks, Jamie! Anything from a crock pot is my first choice! Love this! I love that I have all ingredients on hand to make this delicious meal! Thanks Ashley! That’s what I love about it!! THanks! Love this easy to prepare and amazing looking treat. Soups are so comforting when it’s cold outside and yours looks especially tasty! Now you got me in the mood for pizza. 😉 i’ll be handing out candy to the whopping 5 kids who will stop by. I’m not the dressing up kinda gal, but I love to see the kids dressed up. We have TONS of kids that come by our house. Thanks, Tina! That’s so funny about the pizza place–we were invited over to a friend’s house and they are ordering pizza before trick or treating! Can’t say I’ve ever done it myself, but I have to admit it makes sense. I’m definitely pinning this for another busy night, though! Pizza sounds great.. but I would sure love a big bowl of this soup for dinner tonight! It looks delicious! I’m not doing much either tonight but I have to say this big bowl of soup sounds like a terrific plan. I should have planned ahead so I’d have a great meal like this to come home to tonight after trick or treating! My son and I went to a pizza party (yes, pizza!) and I was starving after all the festivities and scrambled to make myself a decent dinner…let’s just say there was plenty of snacking afterwards. Need to plan better next year! My boyfriend will love this!! I have been throwing crock pot meals together for him while we’re both at work and I can use another! Oh thanks, Christina! Hope you like it! 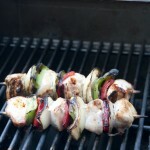 Your blog is an inspiration – I love the thoughtfulness you put into every recipe and post. You’re the sweetest – thank you! Love the crockpot. There is just something about smelling dinner all day! I am with you on that one! Oh, I’ve had something similar in the past! Such a great dish – and so quick to make. This looks wonderful – thanks. 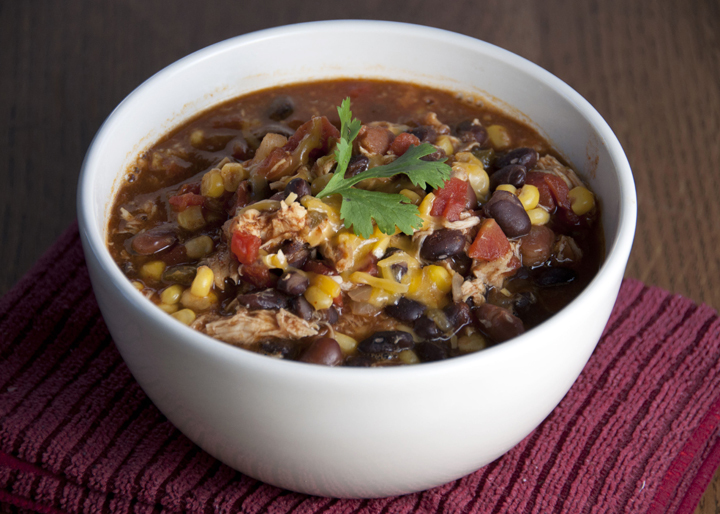 Love the sound of this recipe – black beans, corn and tomatoes in a crock pot = yum! That looks like one tasty chili! Love making meals in the crockpot! I love it too!! Thanks! What a delicious soup for cold days! Love taco flavors not only on a taco but in a soup too! 🙂 I’d love to make lots of it, freeze it, and take it with me to work as lunch occasionally. I love chicken taco soup and making it in the crock pot is even better!! Crock pot meals are so wonderful – I love smelling my dinner when I get home from work. This soup looks really good! Yes, there’s nothing like walking into your house and smelling a delicious dinner! We just made this. It was super tasty with the right amount of heat. Thanks Ashley. Yay! Thanks for letting me know! Glad you liked it! Made this today for my family. And it was yummy! Thank you for the recipe.